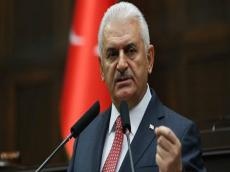 Speaker of the Turkish Parliament Binali Yildirim will resign Feb. 18, Trend reports with reference to the Turkish media. Earlier, Yildirim said that the biggest problem in Istanbul is linked to passenger traffic, particularly - high density of traffic, adding that he will be able to solve this issue if he gets elected head of the Istanbul municipality on March 31 during the municipal elections. The municipal elections in Turkey will be held March 31, 2019. They are held every five years. The candidacy of the former Minister of the Environment and Urbanization of Turkey, Mehmet Ozhaseki, has been nominated for the post of head of the Ankara municipality.